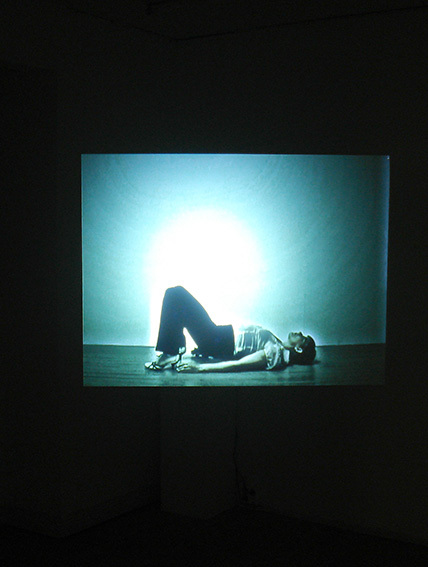 In the video a woman lies on the floor then arches into a bridge shape. A ‘halo’ surrounding her body associates her action with the neurologist Jean Charcot who in the late 1800’s organised performances with hysteric patients in the Salpêtrière hospital in Paris. ‘Top performance’ is also a stock market term, referring to the peak of the market. The work is presented as a back projection on a hanging plex glass.